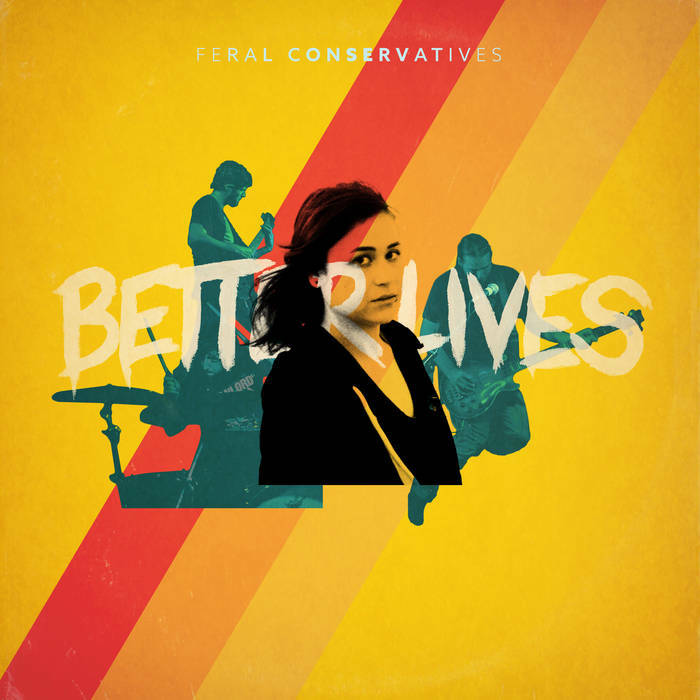 Feral Conservatives made a splash on here a few years ago and I'm excited to see them again. I went to a Worriers concert a few days ago and can't get those songs out of my head for the life of me. It occurs to me that the two bands are tackling similar subjects but in two different ways. Both are dynamic power punk bands with a strong grasp of melody and playfulness. But where Worriers look at the indignities of adulthood and say "this is frustrating and isolating," Feral Conservatives say "we're not here for a long time, but we're here for a good time." I think that's a hard line to walk and most bands who do stray into camp or apathy. That's not the case here. Better Lives isn't relentless cheery. The sun-washed distortion buttresses sly moments of critique, as in "State Lines," which asks: "Seems we're changing/Do we ever really improve?" "Eyes Open" similarly delivers a diatribe of existential anxiety that is masked by a confection of uptempo riffs. That said, Feral Conservatives also indulges themselves in the whimsical, as "Cat Song" shows. Better Lives is certainly a more well-balanced view of reality than I immerse myself in. It's quite a breath of fresh hair.